By MFEEadmin in New Events & Resources on March 8, 2018 . Please join us for Episode 18 of an ongoing series of webinars on the occult masterwork, The Secret Doctrine, by H.P. 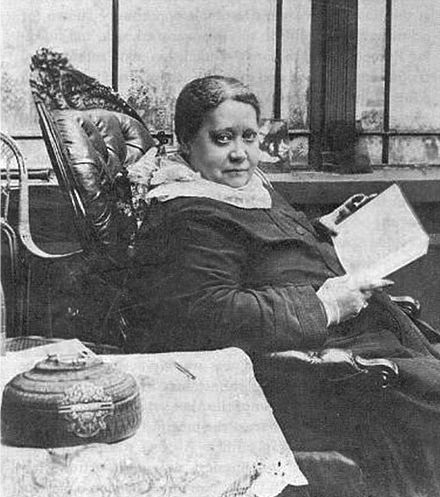 Blavatsky. After catching up on HPB’s travels in India, we’ll continue our study of the final verse from Stanza II from the Stanzas of Dzyan, which form the foundation of the Secret Doctrine. For some months to come we will be focusing on volume one of The Secret Doctrine, which is a translation of– and commentary on– one of the greatest source teachings ever given to humanity, the Book of Dzyan. These ancient writings, unavailable until publication of the SD, describe the passage from the formless realms of pure Being to the manifested universe in all its diversity. Though the webinars are usually held on the 3rd Sunday of each month, this one will be on the 4th Sunday and will include charts, photographs, and other graphics. Attendees will be encouraged to participate in an open discussion style of presentation. Hope to see you there! To receive an invitation for all of our webinars, please use the “Sign Up” button on the side panel and we’ll send you an email as other webinars are announced.